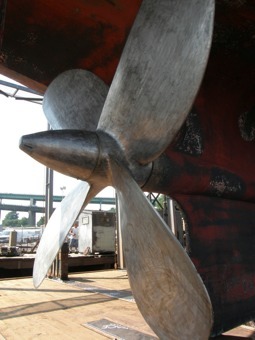 resolve severe vibration with analysis of all four propulsion units. 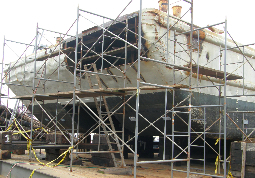 This steel barge hull damage from an accidental collision with a bridge structure is typical of the heavy-duty, construction-use vessels we repair. 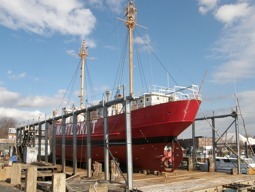 This barge was put back into billable service for the owner within 3-weeks. 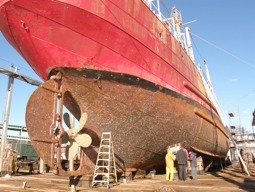 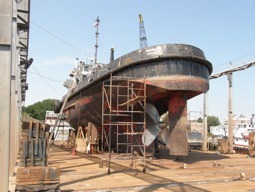 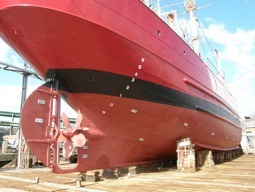 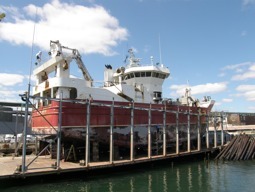 Fitzgerald Shipyard has performed restoration to significant maritime vessels. 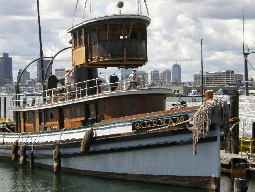 The ‘Luna’ is a 103-foot, 1930’s tugboat is Listed on the National Historic Register and represents the most advanced diesel-electric technology of its day. 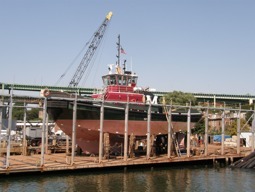 It is "first and now the last surviving" in technology and materials of the tugboats of this size afloat on the U.S. Gulf and Atlantic Coasts of more than the 1000 wood-hulled tugs constructed during that era. 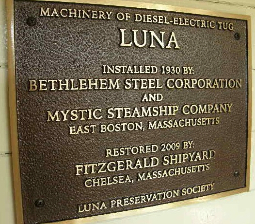 The ‘Luna’ is an ongoing project and Fitzgerald Shipyard has performed hull restoration, installed new decks, main deck, pilot house and preservation of machinery space to exhibit technology of the era for the Luna Preservation Society. 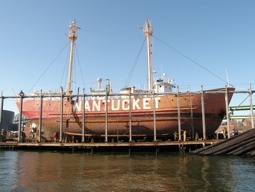 Hull preservation for this United States Lightship Museum listed as a National Treasure by The National Trust for Historic Preservation. 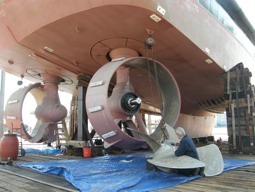 From the oldest work vessels to the newest state-of-the-art tugs undergoing U.S. Coast Guard inspection, maintenance, repair, systems upgrades and calibration while dry-docked. 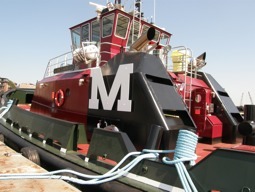 Katie T. Moran New Tractor Tug Z-Drive maintenance. 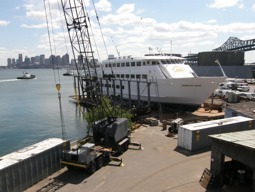 Natick Former U.S. Navy YTB undergoing hull and systems upgrading to American Bureau of Shipping requirements. 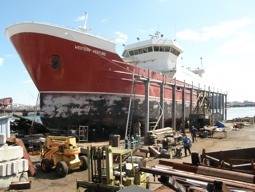 Western Venture Routine hull and systems service. 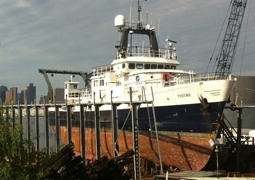 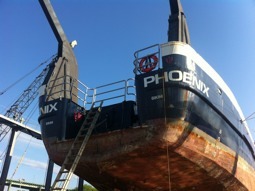 R/V Phoenix Dry docked for hull repair and keel cooler renewal prior to research voyage out of Wood's Hole, Massachusetts.